Church of Hope has put together three ministry training courses to help equip pastors and Christians for the work of the ministry and to help all believers to grow in their Christian walk. 1) The Evangelism (Ministry) Training Course which is a 21 week course that can be modified to suit, which is designed to train up all Christians for the work of the ministry. These three courses and workshops and the training manuals and resources required to run them are free and can be downloaded below. Details of how to run these three ministry training courses and workshops are outlined below. For those wanting to use our materials to run a bible training school, click "HERE" for detailed instructions on how to establish a bible training school. To know more about our training courses and workshops, please email Pastor Conrad Fenton at churchofhope@hotmail.com or ring him on +61 413 483 858. We pray that these training courses will be a great blessing for many and help many Christians to fulfil their God given potential in Christ. Church of Hope offers a free evangelism (ministry) training course which can be downloaded below. This course is ideal for empowering all pastors and Christians for the work of the ministry. This course can be used in both a Bible College setting or for those who are in full time secular employment, as a daily devotional study. This course can also be used by pastors to equip and empower the local church members to become more effective in soul winning and mentoring other believers. A key focus of this course is to empower all Christians to become more effective witnesses in their own communities and workplaces. This course has therefore been designed to both equip and empower individual Christians and to provide church leaders with study materials that can be used to run Bible Training Courses. When used as a daily devotion, each week's required readings can be covered over a period of 6 days. The above three downloads are all that are required to run this course. The complete (full) versions of the Leadership Manual and the Discipleship Teachings Manual can also be viewed and downloaded from our Downloads page. Individual teachings from the Ministry Training manual can also be downloaded from the Downloads page. Click "HERE" to go to Downloads page. Using the Pastors Workshops Guidelines Manual (click "HERE" to download) and the Ministry Training Manual (click "HERE" to download) and Leadership and Discipleship Extracts Manual (click "HERE" to download), pastors can run three or five day conferences to train up and empower pastors to become more effective in ministry. Equipping and empowering pastors is a key to seeing cities coming to Christ. These workshops have a two-fold purpose: 1) To train up pastors who will be able to run similar workshops to train up other pastors, and 2) To encourage all local church pastors to run a six month evangelism training course for their own church members to equip and empower them for the work of the ministry. The Pastors Workshops Guidelines Manual gives an overview of 8 key areas to cover in each Workshop and a reference to the teachings which relate to each topic. This manual covers key areas of ministry such as the importance of having a clear vision for our lives and churches, building our lives on the Word of God and prayer and the importance of raising up mature disciples who are equipped and empowered for ministry. This manual can be downloaded below. The Pastors Workshops Teaching Notes manual contains teachings which have been selected from the Ministry Training Manual and Leadership and Discipleship Extracts Manual as well as some new teachings. The Pastors Workshop Teaching Notes manual contains teachings which relate to the 8 key areas covered in the Pastors Workshop Guidelines Manual and is ideal to use in larger Pastors Workshops or low budget workshops. It is always preferable that all pastors who attend a Pastors Workshop are given a set of training manuals to take home. If you have any questions, please do not hesitate to contact Pastor Conrad Fenton here. May God Bless all that you are doing for His Kingdom! A RANGE OF GOSPEL TRACTS (INCLUDING TRACTS FOR MOBILE PHONES) CAN BE DOWNLOADED FROM OUR "DOWNLOADS PAGE". CLICK "HERE" TO VISIT OUR "DOWNLOADS PAGE"
All workshops to commence from 10.00 am and will conclude at around 5.00 pm. Each workshop will include both training and practical sessions. A light lunch and refreshments will also be provided. Please call Pastor Conrad on 0413 483 858 should you wish to organize the running of a fire Evangelism Workshop at your own church, to help equip and mobilize those in your fellowship in the area of evangelism. 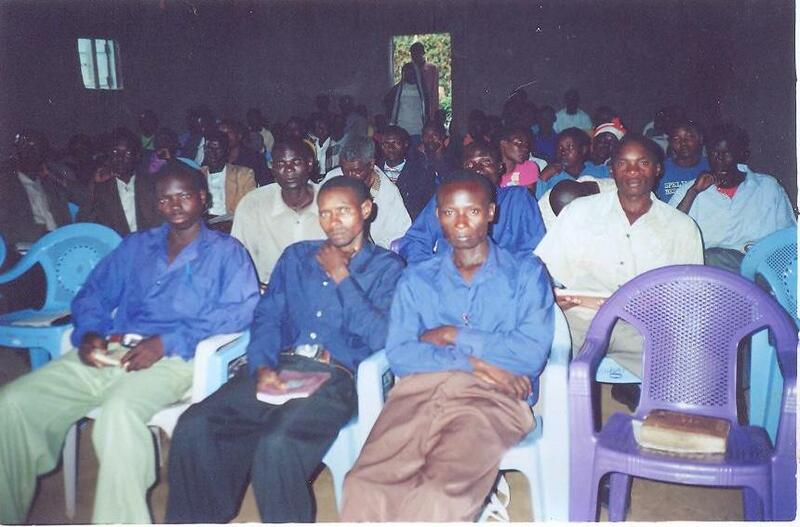 Church of Hope initially began in 1999 as an outreach ministry under the name of Church in the Streets Ministries. Since that time two churches have been established from our street outreaches. Each week Church of Hope sends out into the streets of Sydney and Melbourne outreach teams. Many people have come to know Christ during our street outreaches and have also become a part of our two churches. Church of Hope has a real heart to help equip the wider Body of Christ in the area of Evangelism. To help encourage and equip local churches to become more active in evangelism, Pastor Conrad Fenton runs a three-night Evangelism Training Course to help encourage Christians in local churches to become more active in soul winning. This three night evangelism training workshop is designed to be used anywhere in the world, and is structured in such a way as to enable those who are in full time employment to be given the opportunity of being equipped out of work hours in the area of evangelism. 2) Encouraging Christians to commence weekly evangelism outreaches out of work hours. These outreaches can take on many forms and include street outreaches, hospital visitations and stalls in markets to name a few. If every person in a church was committed to doing every week just two hours of ministry somewhere out of work hours, in a church of 100 members, every week we would see 200 hours of ministry flowing out of that church. Having ministry outreach teams in a church has many advantages. The two main advantages are, that they cause people to be committed to participating in an outreach ministry once a week, and secondly, by being in a team, quiet and shy people can be given support and have greater confidence by being part of a group of Christians reaching out with gospel. Over a period of three nights momentum is gained in the area of evangelism and new people become connected to the church. Given the days that we live in it is so important that all Christians become soul winners. To download the teachings for our last Evangelism Training Course please click "HERE"